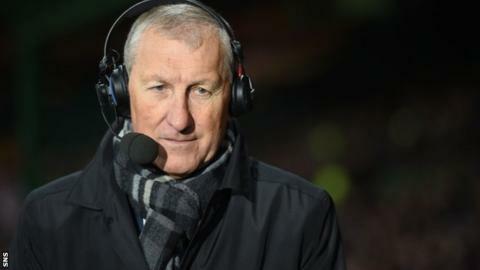 Terry Butcher has ruled himself out of the running for the managerial vacancy at his former club, Motherwell. Butcher asked to be taken out of consideration for the position and explained his reasons to the club. Fir Park officials are understood to be disappointed by the 55-year-old former England captain's decision. Butcher, sacked by Hibernian this summer, was one of six candidates for the job and an appointment is expected by the end of this week. Caretaker manager Kenny Black was the last to speak with the Motherwell hierarchy on Wednesday. They had already interviewed two Dutchmen - Mitchell van der Gaag and Rob Maaskant, who are both former Motherwell players - as they seek a replacement for Stuart McCall. Englishman Ian Baraclough, who has managed Scunthorpe United and Sligo Rovers, and Kenny Shiels, currently director of the Forth Valley Football Academy, are also in the running for the job. Butcher was Motherwell manager for four seasons from 2002 after spells in charge at Coventry City and Sunderland. He moved on to A-League outfit Sydney and then Brentford before returning to Scottish football for four years with Inverness Caledonian Thistle. The former Rangers captain left the Highlands club for Hibs last year but departed Easter Road following their relegation from the Scottish Premiership.